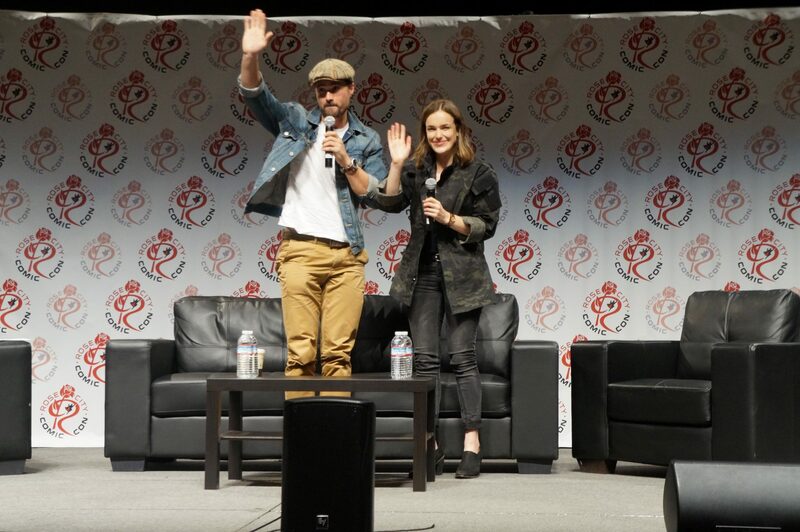 Rose City Comic Con gets bigger every year, and it just so happened that this year it managed to draw in two members of the Agents of SHIELD cast. Elizabeth Henstridge and Brett Dalton sat down in the main panel room and had a forty-five minute Q&A filled with a lot of laughs, some touching moments, and absolutely no hints as to what is to come in the new season. The rest of the panel was really focused on taking a harder look at the journey of each of their characters, and how they’ve all come to be where they are. Naturally there were a number of slightly questionable “Hail Hydras,” followed by thoughtful questions directed towards Dalton regarding the trajectory of his character. One of the best questions, though, was who Dalton would rather be if he could pick any other character to play. No surprise, he chose Agent May. Can’t blame him for that one. We found out that Henstridge is an avid FitzSimmons shipper, and has been wanting them to kiss since season one. Though from what she says, Iain De Caestecker has the opposite opinion and doesn’t think they should ever kiss. Whether or not they will get together appears to remain a mystery. Of course, someone brought up the current Dubsmash War and it was made clear that the war is not over. It will be interesting to see if it carries over to NYCC (hint: I hope it does). 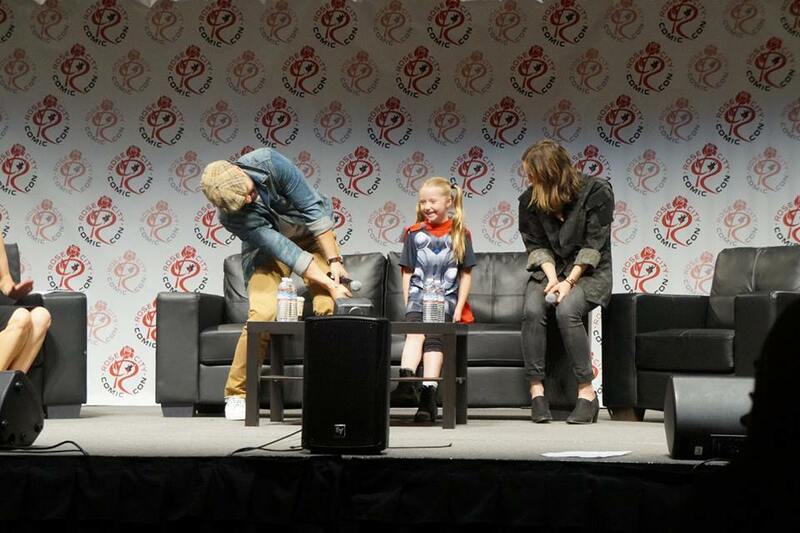 Perhaps the most touching moment of the entire panel was when a young girl was brought up to the mic to ask a question of the cast. All attention turned to her as she momentarily stole the show, because she was dressed as Thor. When everyone realized it, “awwwwws” filled the room, and the moderator of the panel beckoned for her to come up and join the cast. She was definitely nervous, but in the end sat down right between them while they sweetly answered her question. Then Dalton took a swing at lifting Thor’s hammer, and was determined to be unworthy. Yet the little girl picked it back up without issue, causing a lot of laughs. On top of cute moments, and some fun insights into the show, the panel was over-all hilarious. Dalton dropped a number of ridiculous puns, and was momentarily distracted and missed a question because he was “thinking about all the pirate things he knows.” There were a number of mic drops on his part, too, and a friendly rivalry whenever the question of how the SHIELD team felt about Ward came up. There’s a reason they were sitting apart from each other, of course. Over-all, it was a panel worth attending. I managed to snag great seats, and by the end of it was red with laughter from all the fun moments they provided. I could tell that both Dalton and Henstridge love their cast and their show, and they even said as much. As two young actors starting their careers, they’re grateful to have this experience to bounce off of as they eventually move onto other projects.